With Christmas just a day behind us, the new year is fast approaching. Many people will take the next few days to reflect on all of the changes the past year has brought. But multitudes of people will also begin thinking about their goals and New Year’s resolutions for the year ahead. They’ll try out the newest diet fads, relationship advice, and even the trendiest fashion all in the name of improving their lives. Unfortunately, some of these same people will break their resolutions in the coming days and weeks ahead. So, are there some New Year’s resolutions you can and should keep more than others? 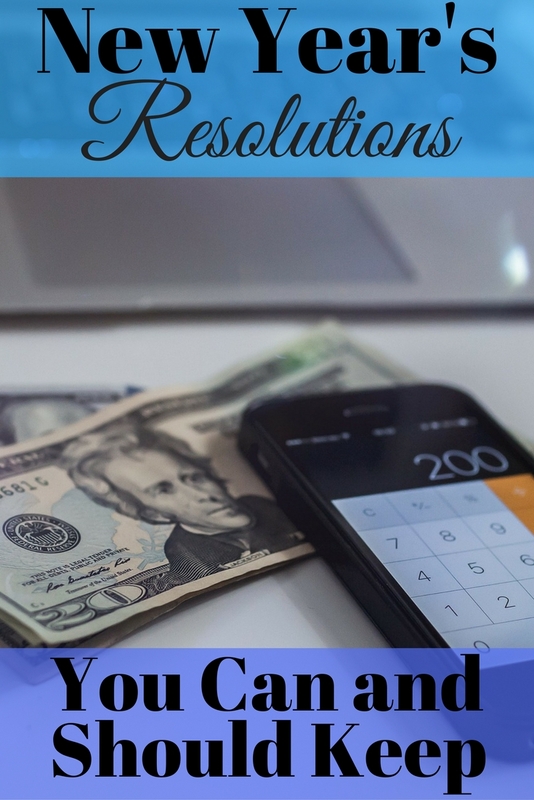 Important New Year’s resolutions you can and should keep ought to include examining your financial goals. In fact, it should be one of the first resolutions you make and fulfill. Review any money goals you had for last year to see whether or not you made progress or met them. If you did not, give honest effort into finding out why. Could it be those goals were too lofty? Did something unforeseen happen that prevented you from hitting the mark? What could you have done differently to help you attain your financial goals? Asking yourself these questions can help you not only understand why those goals went unmet but also how to set realistic ones for the year about to start. However, another reason to examine your financial goals is because they may need to be different for the new year. It’s possible you reached one or more of your goals this past year resulting in the need to set new ones. There are times throughout the year when you could end up with a cash windfall or extra money in your budget. There are lots of different sources for this extra money, such as tax refunds, Christmas money from gifts, year-end bonuses, and more. This extra money is most commonly spent by the receiver on high dollar electronic equipment, vacations, or other frivolous, high dollar items. What is sad is that these same people could have used the money differently to make a greater impact in their lives. To use windfalls in smart ways you should invest at least part of it. Additionally, you could choose to pay off debt or grow your emergency funds. 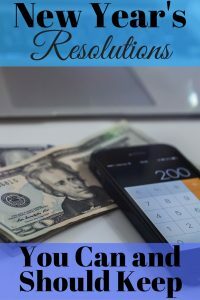 If you are wondering what other financial New Year’s resolutions you can and should keep, reviewing your budget is one of them. Take a look at your monthly budget from last year to see what adjustments need to be made for this year. Add any new bills to your budget that have come up and remove those that are paid off. Don’t forget to account for those bills that do not get billed monthly. While reviewing your budget you may also notice things you used to spend money on that you no longer need. Or, you may see expenses and habits you could cut from your monthly bills. Similar to diets and other New Year’s resolutions that do not last, this is another that could cause some people to falter. But taking a hard, honest look at some of your money wasters is important in order to get your finances on track. Consider alternatives such as making meals at home instead of eating out and shopping only for what is a necessity. Go take a walk instead of paying for a gym membership. Making different choices can help you eliminate expensive habits, save money in your budget, and put that money toward better uses. Checking your credit report is a good way to see how you are doing financially. It is also one of the New Year’s resolutions you can and should keep. Have you looked at yours recently? Doing so can alert you if there are errors on your report. It will also let you know if there are any unauthorized purchases under your name. Lots of people will make New Year’s resolutions in the next few days or weeks. Instead of creating the usual ones that everyone else makes and breaks, set some New Year’s resolutions you can and should keep for the year. What New Year’s resolutions will you be making this year?